I love raw milk. I believe in its healing qualities, and think of it as medicine for myself and my family. My family and I have been drinking raw milk for the last three years. But since the birth of my son almost ten years ago, I realized that there are different ways in doing things, and often against what I always thought was right. I started doing different things with noticible results. I started doing my own research, not believing what the main stream media was telling me, and questioning what our government was telling us about birth, school, food, etc. ( and yes, vaccines, too) The result has been a healthier family, starting with me. Well, three years ago after the birth of my third child, I faced a health crisis due to a tired body and a diet reliant on too many carbs and sugars. I honestly thought I was healthy, but my body decided otherwise, and I went to the hospital for five days with a serious infection. Two weeks after my release, I was diagnosed with a "superbug" called clostridium dificile, more commonly known as c.diff. A horrible diagnosis that unfortunately is becoming more prevalent in our society, due to the overuse of antibiotics. And yet they wanted to continue to treat my c.diff with even stronger antibiotics despite the fact that was the very reason why I was susceptible to this bug in the first place. I decided to change my diet drastically and haven't looked back since. There are many facets to what I did to heal myself, but one of the biggest changes was the raw dairy. Raw milk is a living food, rich in enzymes, protein, fats, vitamins, carbohydrates, minerals, and BENEFICIAL BACTERIA. That is right, raw milk is loaded with the good stuff. For centuries people have eaten raw and cultured milks products from cow, sheep, goat, camel, yak, and buffalo. These traditional peoples knew that their animals provided sustenance, and knew that they were meant to "deliver" milk to them. They were connected to their food. These days our society is so disconnected, that some people would rather their milk come from the factory farm, where it is pasteurized, homogenized and standardized. However when milk goes through all those processes, the milk loses most of its benefits. It loses the vitamins and minerals that are quickly deleted when the milk is heated to a high temperature. Pasteurization kills enzymes, beneficial bacteria, and a whole host of other nutrients that are actually available in raw milk. Raw milk in its purest form is medicine. Raw milk is naturally nutritious, full of enzymes for digestion and fat soluble vitamins especially A and D, which are known to improve immune and cell function. The typical store bought milk of today needs to be fortified unnaturally to be "good for you." Healthy cows, good farm hygiene, GRASS based feed and non toxic farming practices make the best quality, safe raw milk. And that is what you want to make sure you are getting. I feel extremely lucky that I am able to get raw milk at our local farmers market ( thank you Collette, owner of Claravale Dairy) and at some of our local markets. I know it has not been an easy road, for constantly raw milk is under attack by the Food and Drug Administration, for reasons that I understand but don't agree especially from my own experience and that of the four other people in my family. Before raw milk, my kids did not really like milk, now it is considered a treat. I would not go so far as to say they were lactose intolerant, (a very common digestive ailment because of the missing enzyme lactase which is present in raw milk, but not pasteurized milk), but they did not like how it made them feel. I never pushed it too much, trying to compensate in other areas, utilizing yogurt and cheese, ( hmmm, fermented.) It was when I did some research into the healing properties of raw milk that I discovered that my children loved it and thrived. As did I. Of course my research is highly subjective, but I will say that my kids, husband and I are healthier and stronger since drinking raw milk. And I could talk for hours about raw cream as well, which is well known to be super healing for the gut. 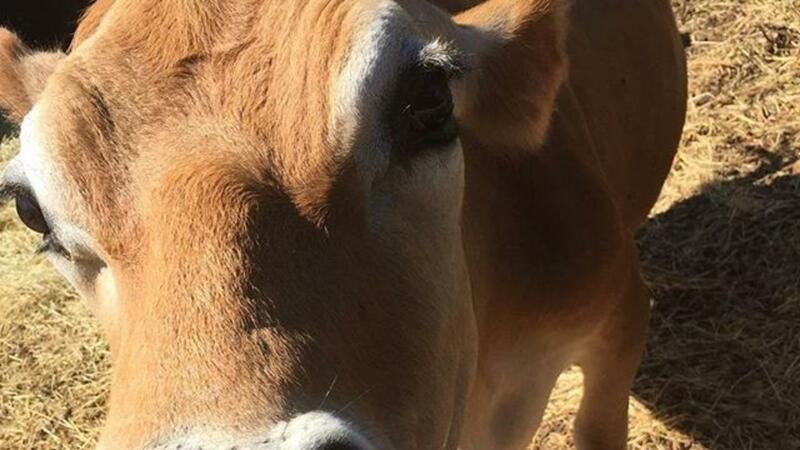 Raw milk has been credited with "curing" allergies and asthma, also preventing tooth decay and joint stiffness, just to name a few of its benefits. I first wrote this post almost five years ago... Yes, we are still drinking raw milk and using food as medicine. Super important during these times because just this past week, I had two family members get sick. I don't recommend dairy when you're sick, but to keep from getting sick eat your veggies and drink your raw milk.